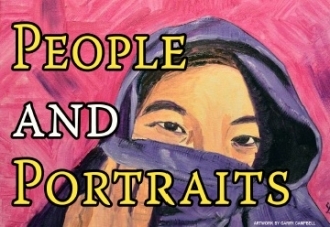 Artway Gallery is accepting submissions for our People & Portraits themed exhibit. Artwork that is a portrait or prominently features people will be accepted. Participation is open to all artists in the community. Maximum artwork dimensions are 3' H x 5' W x 3" D. Artwork must be ready to hang, frames are not required. Sculptures will be accepted provided they do not exceed the maximum artwork dimensions, and can be displayed safely. Artwork must not contain any offensive or controversial subject matter. Work should be delivered to the studio with a completed submission form no later than Thursday March 29, 2018. An Exhibition hosted by Brampton Caledon Community Living at Visual Arts Brampton Celebrating the work of artists with intellectual and physical disabilities. 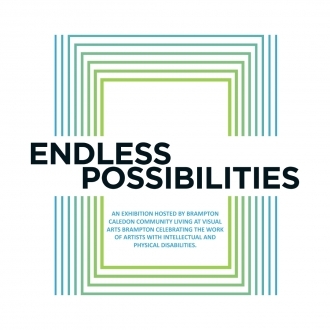 Artwork from the Endless Possibilities exhibit will continue to be displayed in our studio gallery and Artway Invitational gallery for the month of March. The City of Brampton is developing a Culture Master Plan to establish a community-driven vision for arts and culture that will guide and focus the policies, programs, services and investments needed over the next 10 years to make Brampton a place where community art and creative industries can thrive. As artists in the Brampton community, it is important to them that they receive your input. 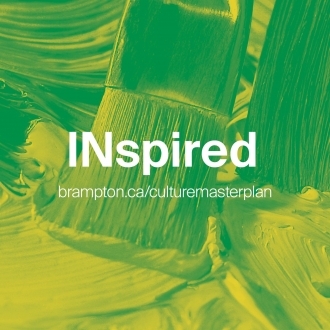 A representative from the Culture Master Plan team will be at the Visual Arts Brampton studio on Wednesday, February 21 from 11am to 1pm and Saturday March 17 from 11am to 1pm to give members and visitors an opportunity to take the survey and ask any questions they may have regarding the Culture Master Plan. Visit www.brampton.ca/culturemasterplan for more information and to find a full listing of engagement opportunities. Come out and join Visual Arts Brampton for Culture Days! Once again we are proud to participate in this weekend of celebrating culture in Ontario with free events from Friday September 29 to Sunday October 1 for the entire family. 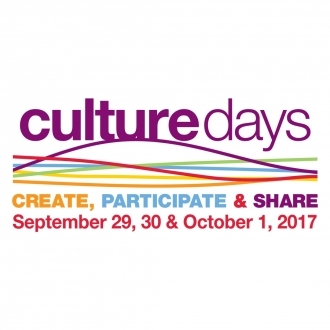 Brampton launches Culture Days and celebrates the 200th anniversary of the Churchville Community with a Public Art Ribbon-Cutting Party. Opening of "The River That Drew Me Here" sculpture and Art in the Park activities. Master watercolour artist Zan Barrage presents an exciting watercolour painting demonstration. Participants will learn how they can make colours dance and paintings burst with expression using simple techniques. Join artist Filomena Kandola as she teaches an exciting pastel drawing lesson. Participants will learn basic techniques such as how they can blend colours and overlay to produce a vibrant pastel painting. Join in on this fun painting activity for kids! Using tape and tempera paint, participants will create a colourful piece of art they can personalize with their own initials or a favourite pattern.